There are 11 posts in this thread, and it has been viewed 6109 times. 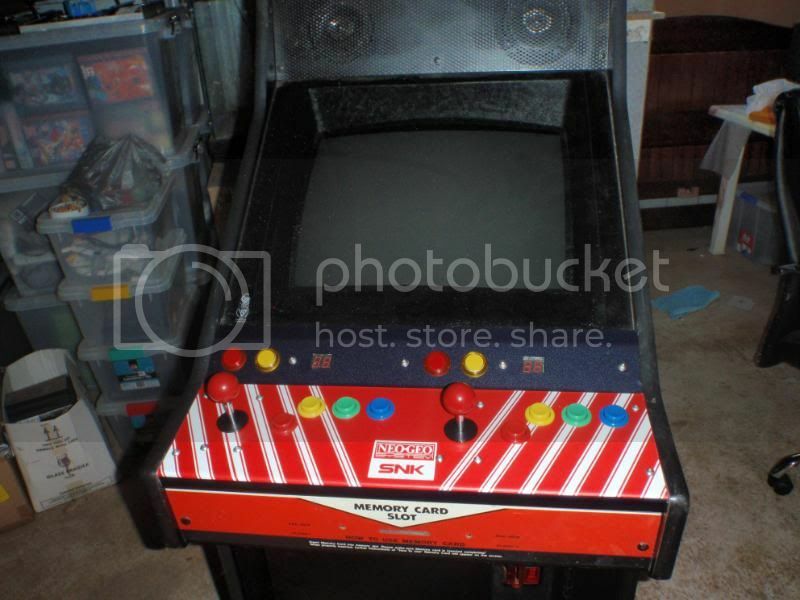 Hi everyone,i am in the process of giving my 3 arcade cabinets a total face lift,so far i have replaced all the buttons,installed new sanwa joysticks,new fans and speakers as well as removing all the existing screws,bolts,nuts and hinges and replacing them with stainless steel ones. The one thing that is a problem here in Oz is locating decent cabinet art so i'm hoping someone on the forums here can guide me to a good supplier of these items either in the UK or Europe. I am in need of new side art,control panel overlays and large marquee headers.Due to the nature of my job which involves working away from home on a regular basis,i have neither the time or skills to download files and go looking for print shops to make them for me so i would like to buy these items already made. Alternatively if there is a forum member here that is artistically inclined and has the time to design and get these items made for me i would gladly pay them.I have 3 cabinets to do and would like to make them all Neo Geo themed with perhaps characters from the KOF series on one and the characters from Samurai Showdown on another but would definately welcome ideas and feedback on this. 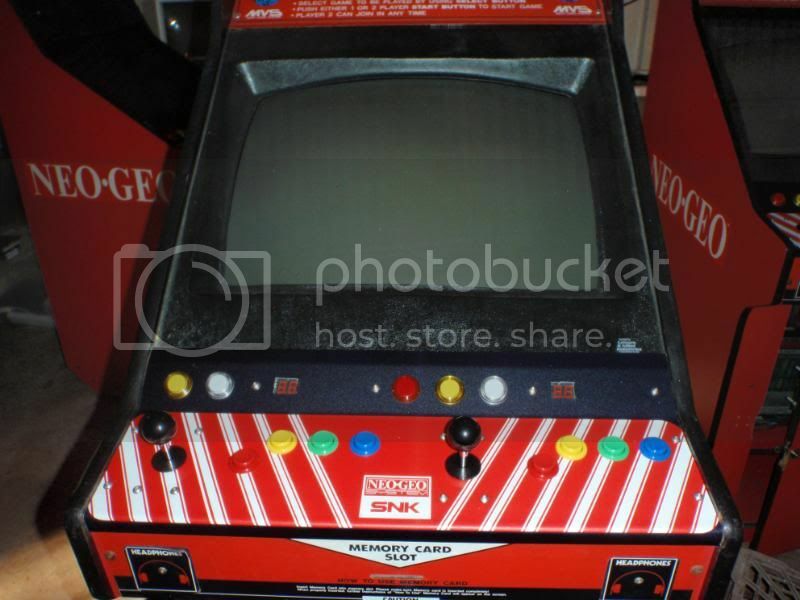 I know some members will say it is sacrilege to change the appearance of my dedicated Neo Geo cabinets but i find them quite boring and would prefer them to have in your face graphics and artwork.They can always be returned to the original art work and colors later if i was to sell them and the buyer wanted them to be original..
Another option is to find a picture of the original side art and send it to a company that makes stickers, signs etc. Normally they can produce what you want at a reasonable price. Thanks for that TF73,i managed to get some control panel overlays from one of those contacts you gave.I'm actually not looking for the original side art stickers they are freely available on ebay....what i am looking for is some custom side art featuring neo geo characters and or themes for my non neo geo cabinet and perhaps changing my dedicated cabinets to something more flashy as well.There must be places either in the UK or Europe that specialise in making Arcade graphics and artwork.....anybody know of any? I know there is one in the US atleast, but I dont remember the mail address. I'll try and figure it out and inform you if I have any luck. Thanks mate,i certainly appreciate your help on this. 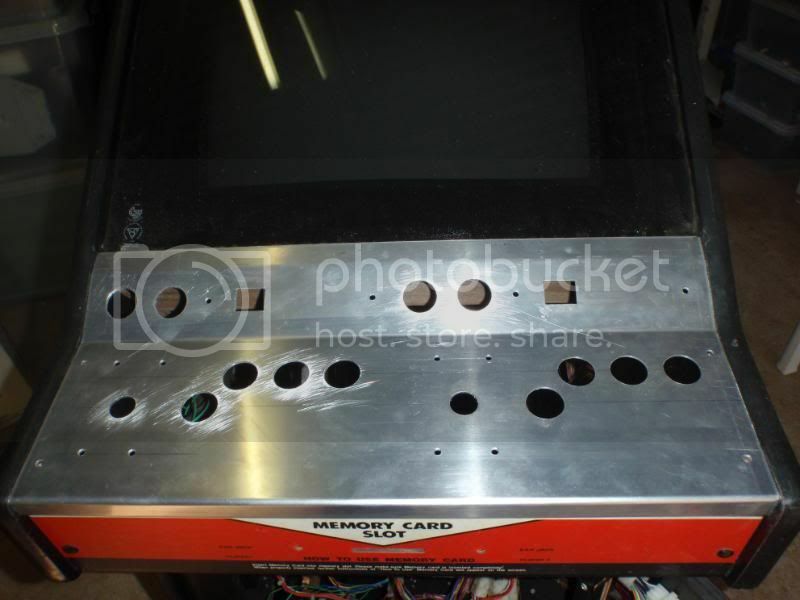 Here is a bit of an update for those that may be interested....i have made some new control panels from aluminium that are exact replicas of the original steel ones and thanks to TF73's help have purchased and installed new CP overlays from www.arcadeoverlay... is some pics of the results beginning and end.I have replaced all the original buttons with Happ competition ones as well as the original joysticks with Sanwa joysticks.Next i will be removing the old side stickers then repainting the front and sides and putting some new neo geo themed artwork on the front and side panels. The transparent yellow and white buttons look great! The black ball tops looks very awesome as well. But why does one side have a transparent red button while the other does not? 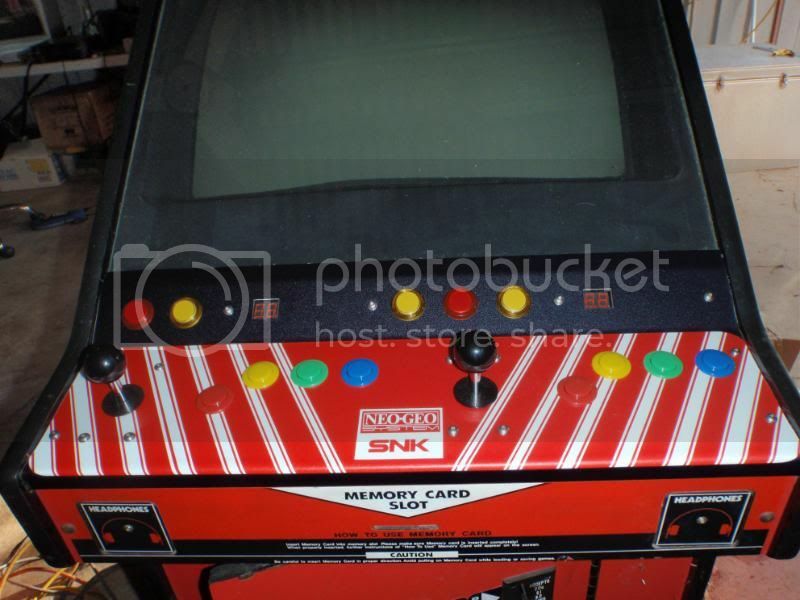 The red button is the game select button,on later models they put a seperate game select button for some strange reason.....on the earlier machines the yellow buttons do the game select.And thanks for the praise 2D the cheques in the mail. it looks nice that SGFX. Very nice indeed! Loving those boxes of games lying around in the background too. 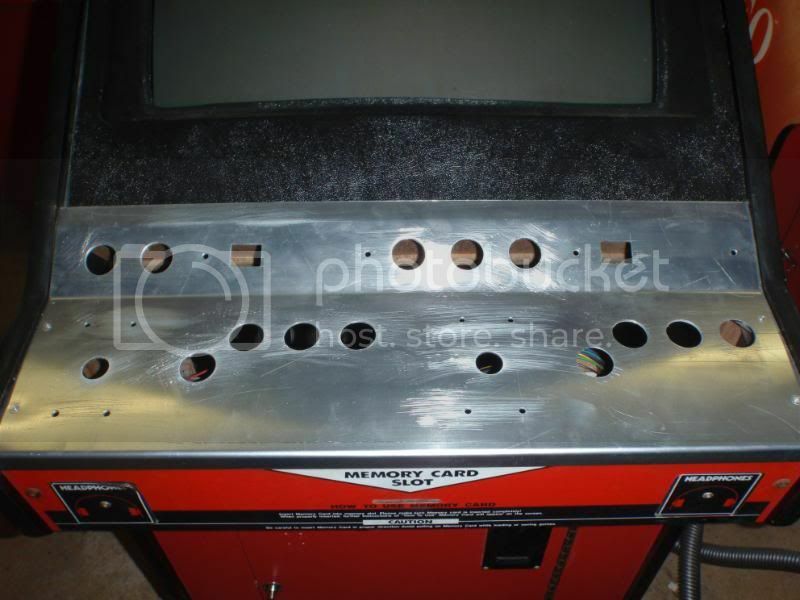 Same here,i am getting some side art made by arcadeoverlays.com that i found on that site you sent me to Ninja.....looking forward to seeing how they turn out.Unfortunately i will be putting the cabinet facelift on hold for the time being while Project Ninja CMVS takes priority.